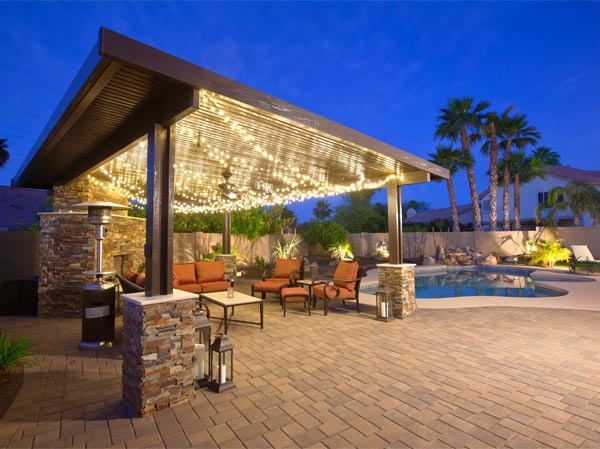 If you searching for “Patio Covers Gilbert” while looking for contractors in Phoenix, Arizona to install a new patio cover for your home, JLC Enterprises can help! 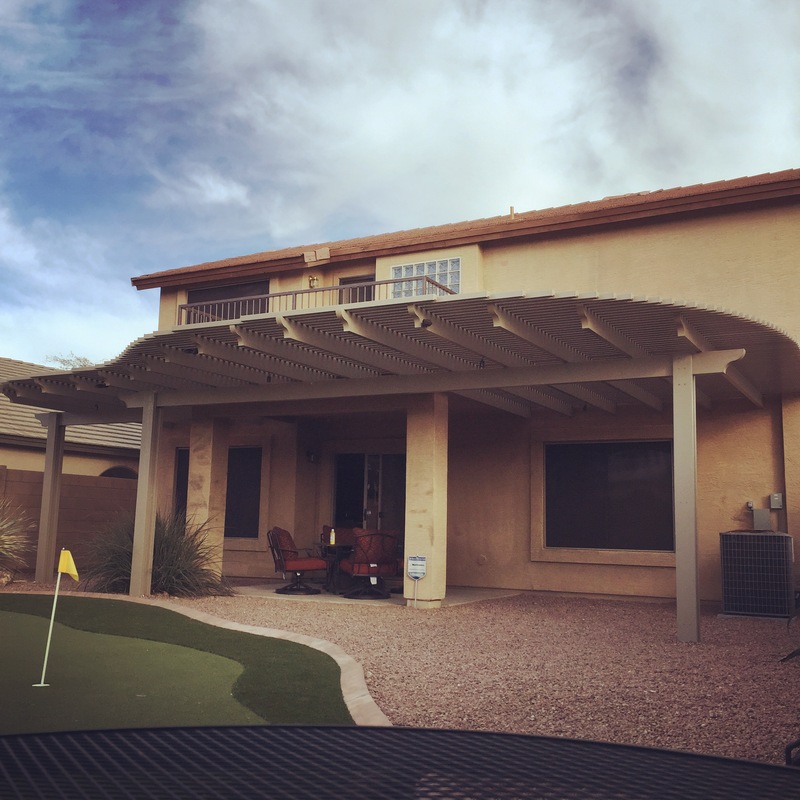 When it comes to installing home patio covers for Gilbert, Arizona, JLC Enterprises is at the top of the list! 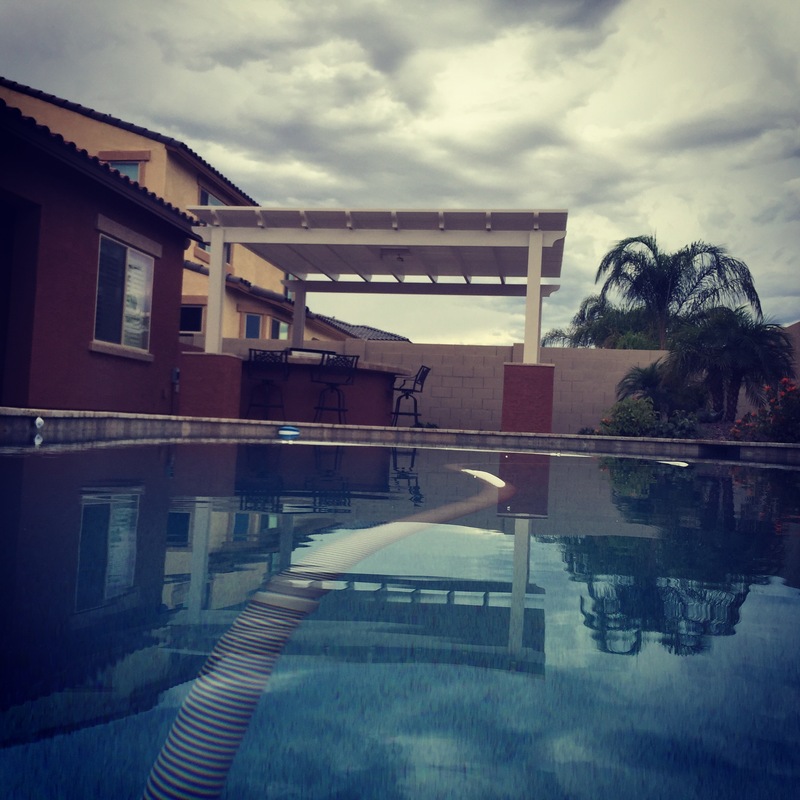 JLC Enterprises is the leading installer and designer of energy efficient and durable patio covers located Gilbert, Arizona. 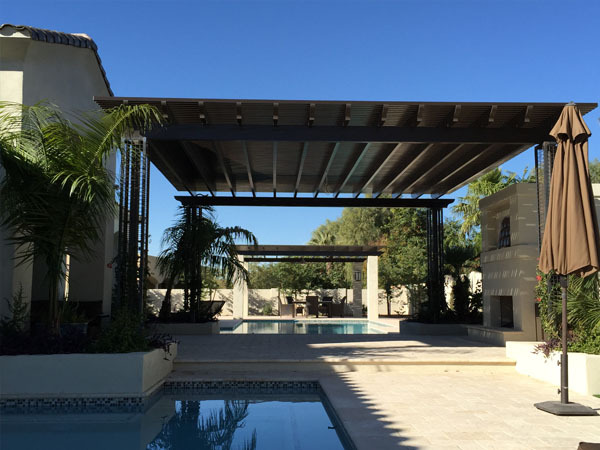 We happen to provide patio enclosures, carports, Aluma-wood patio covers, lattice patio covers, wood patio covers and much more in Gilbert and the surrounding areas of Glendale, Tempe, Mesa, and Phoenix, Arizona. 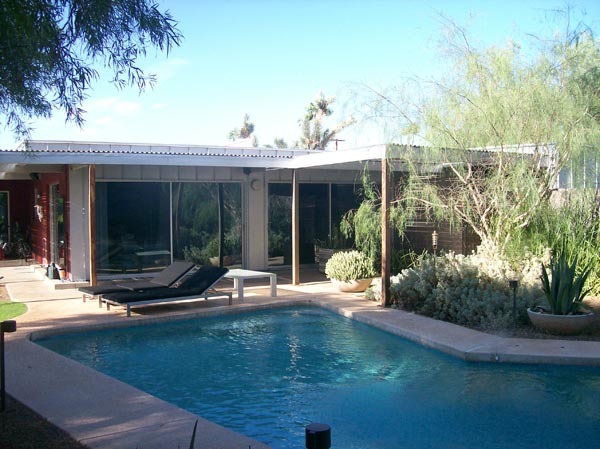 Our years of professional experience and service valley wide, each project that is done is guaranteed from beginning to end. 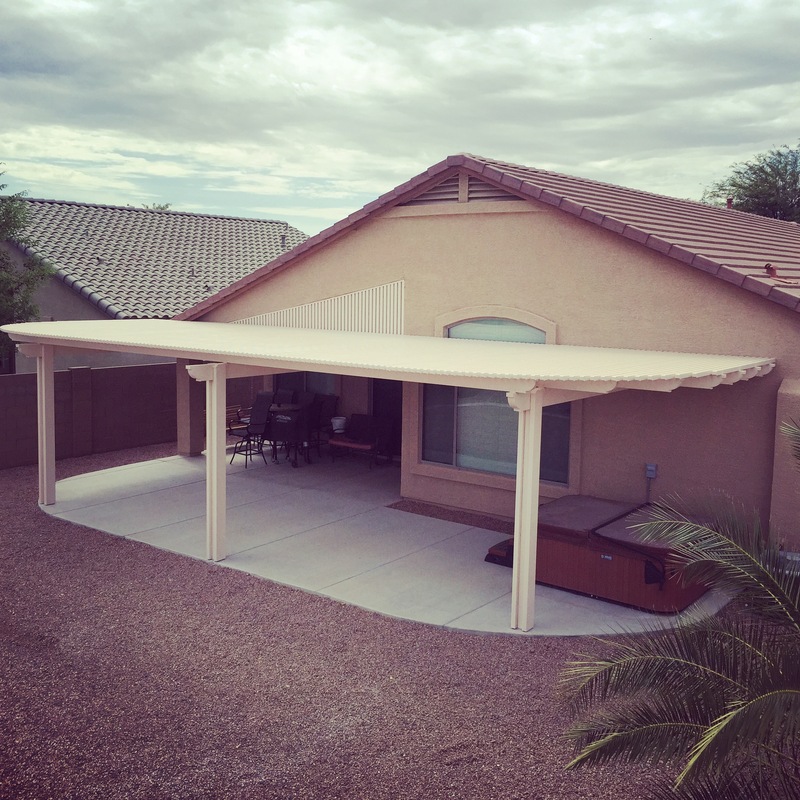 We offer patio covers as well as remodeling services in Sun Lakes, Ahwatukee, Fountain Hills, Paradise Valley, Queen Creek, Phoenix, Mesa, Chandler, Tempe, and Scottsdale, Arizona. 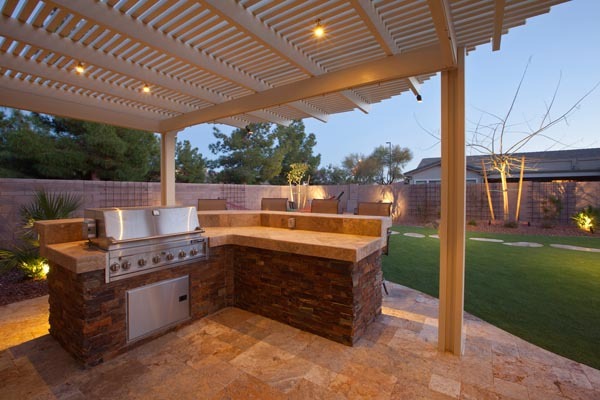 Why Install A Patio Cover In Your Backyard? Installing patio covers in your yard can help to expand your home into the outdoors, by adding additional square footage to the backside of your home. 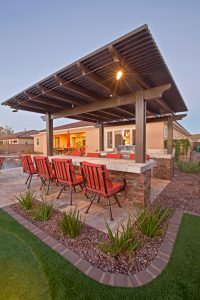 Patio covers will help to set the mood for any outdoor activities such as cooking and dining outdoors, socializing, and relaxing. You can even decorate your patio cover to give it a theme when you are planning a get together. There are some fast food places and diners that use restaurant patio covers too. We are offering traditional solid wood patio roofs as well as the budget friendly aluma-wood patio covers. 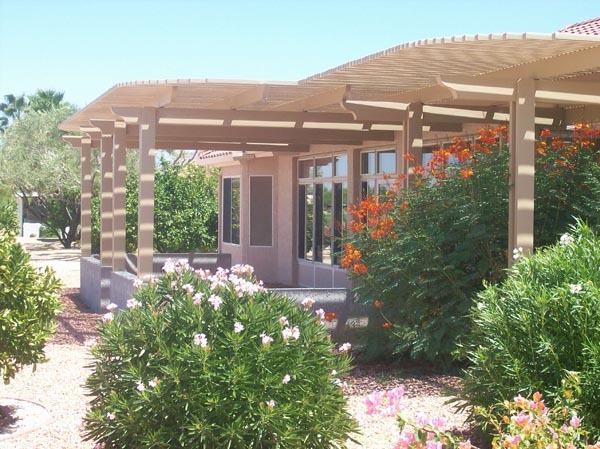 Provides 100% rain and shade coverage: The Aluma-wood patio covers are rain proof as well as maintenance free and durable. They come in various prefinished colors and we can match just about any color that your home is. This helps to give you day’s outdoors while it is raining, while you manage to stay dry under the patio cover. 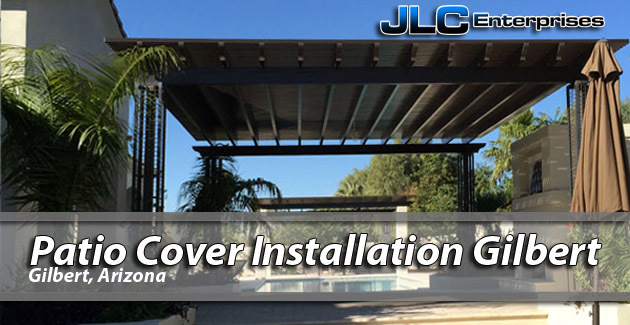 Custom patio designs: JLC Enterprises will be able to custom design your cover to accommodate ceiling fans, light fixtures, and so much more which gives your outdoor space more amenities. 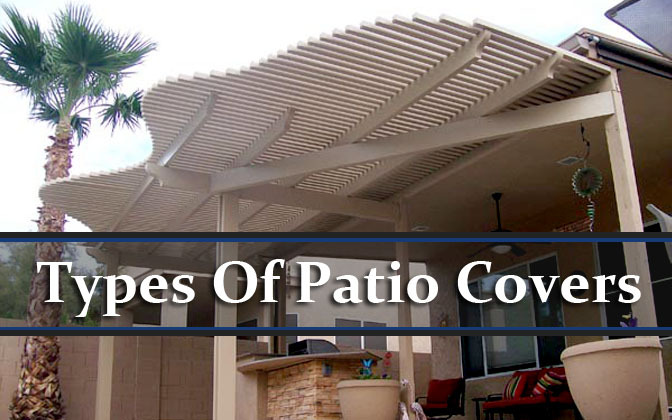 What is a patio cover? 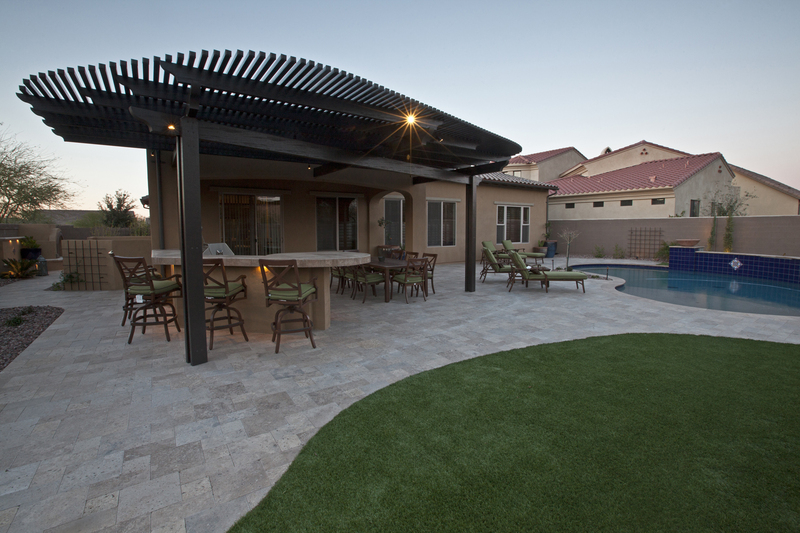 Patio covers are a shady structure for the backyard that is normally attached to back of your home. 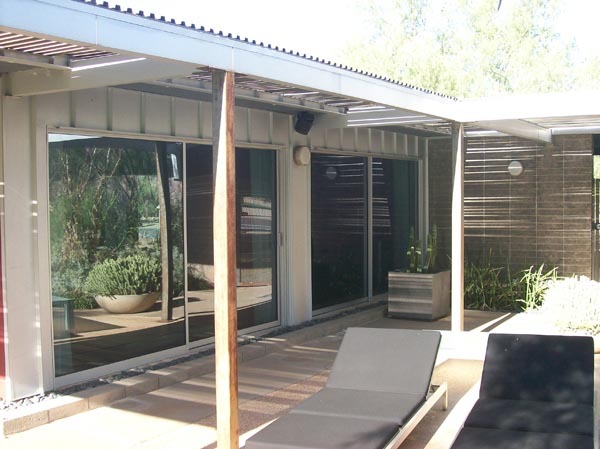 You will be able to find patio covers in various sizes, styles and shapes. 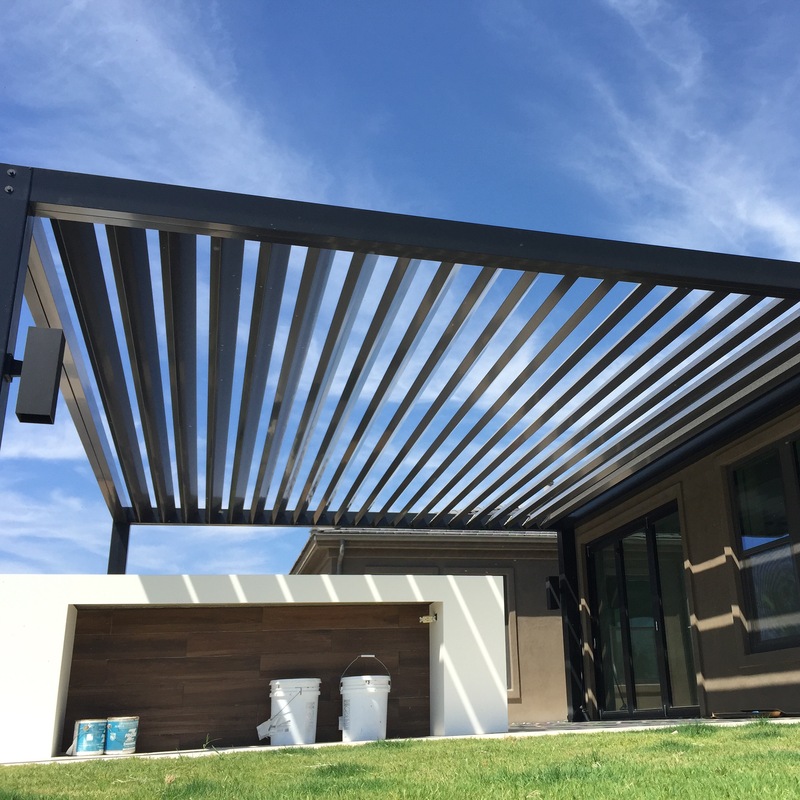 There are also various types of materials that your patio cover can be made from with a range of prices depending on the material that you select. 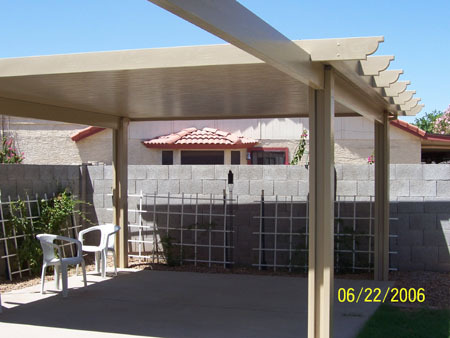 Other types of patio covers include: Pergolas, carports, gazebos, awnings, and retractable patio covers. 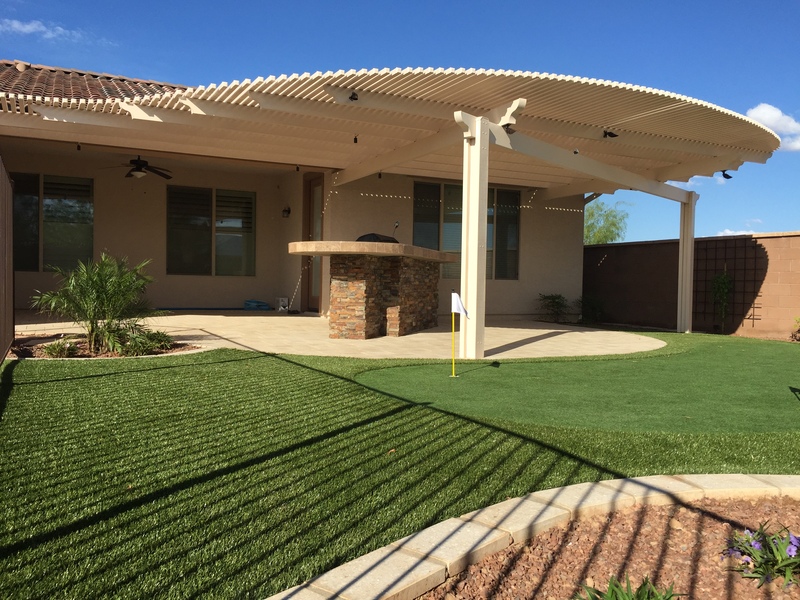 To schedule your installation or to receive a free patio cover installation estimate in Gilbert, call us today at 4809679183. 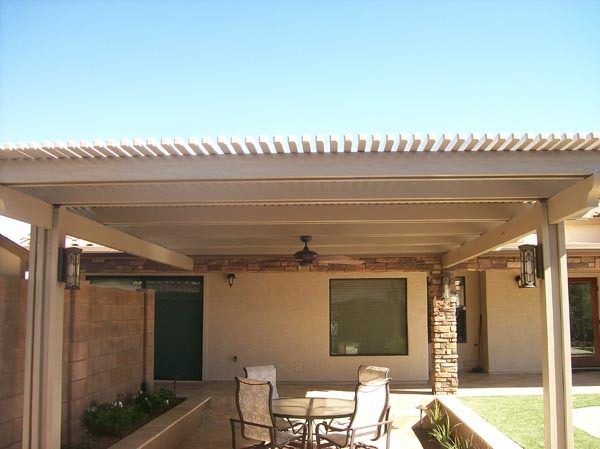 Read More About Patio Covers Phoenix. 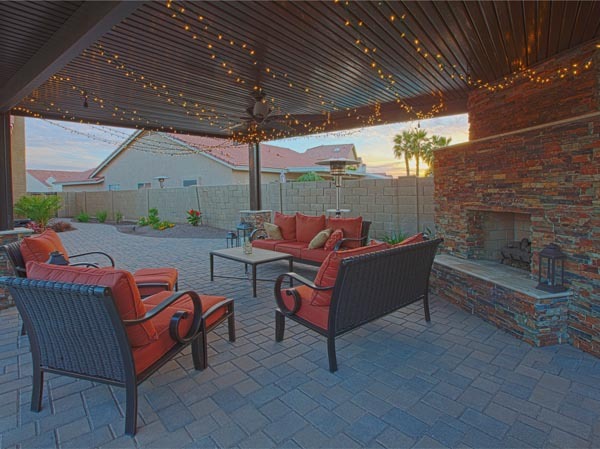 Are you searching for "Patio Covers Gilbert" while looking for contractors in Arizona to install a new patio cover for your home? If so, JLC Enterprises can help!